In today's tech world, domain names are hot cakes. The sale of CarInsurance.com in 2010 at $49.7 million set the world record as the most expensive domain sale in history. You can make money online trading domain names and you can start with just $50 which can be turned into $400 or more within a short period. Just like every other business, success in domain trading depends on appropriate knowledge, constant practise, perseverance and, of course, good luck. Creating a domain portfolio of high quality is very vital to success in domain trading. It can take months before you can put together a portfolio that can bring a great reward. It is a speculative market and you need to come up with names that will be popular or have high market value in future. It is a game of numbers and the bigger your portfolio is, the better you will be positioned to make money online in this business. You can also go for high-profile names and hold on to them until an end-user shows up. You should consider investing in generic names which are dictionary words that describe products and services. Generic names are easy to sell with less legal issues. However, it is very important to refrain from buying names that have copyright or trademark issues. You may be forced to forfeit such a name and this will lead to a loss for you. A lot of numeric names have market values. The advent of Chinese investors into the domaining business led to the popularity of numeric names. Numeric names are very popular in China but you need to own the right ones in order to make a lot of money. In 2017, 01.com was sold for $1.82 million, 20.com for $1.75 million and 708.com for $327,000. Geographic names are also hot cakes in the market. You can buy domain names of cities as well as countries and if you discover locations that are just coming up, you can buy their names. Web developers can buy geographic names for building community portals or businesses related to those communities. Business names, especially generic ones, are great assets that you can have in your portfolio. Names like dentist, surgeon, architect, etc., are very good for consideration and if your combine them with geographic names, you have got for yourself a valuable asset. Timely names are also very lucrative, especially when you combine them with the year an event is taking place. Names related to political campaigns and special events are all timely names. Examples of timely names are Russia2018.com, PresidentialElection2019.com and so on. 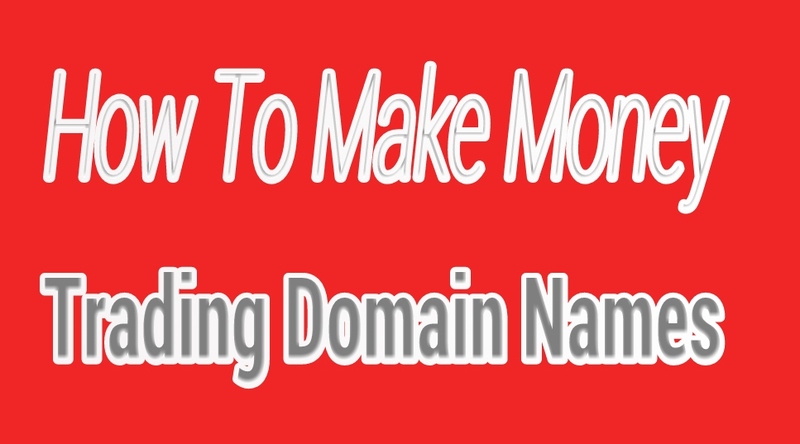 You can use many methods to make money online buying and selling domain names. A lot of registrars have various options for buying and selling domain names. You can buy through registration, making an offer or through an auction. As a domainer, you can only sell through auction, by setting up a buy it now price or requesting for offers from perspective buyers. Top platforms for buying and selling domain names include Godaddy, Sedo, Namejet, Afternic, just to mention a few. It is free to make money online buying and selling domains on some of these trading platforms but there are paid features to boost sales. It is very important to price your name properly. It should not be too high and too low in order not to reduce your profit margin. There are many domain valuation tools, like Estibot, but the willingness of the buyer to buy a domain name will go a long way in determining its price. You should make sure that you keep your expenses low and sell at a high price in order to make profit. You should follow the trend in the industry so that you will be able to make the right decision that will help you to make money online. You should read domaining news as well as blogs regularly as this is the only way you can know what is trending in the domaining industry. Popular news sites include Domaining.com, TheDomains.com, DomainNameWire.com and so on. The industry continues to evolve from time to time, as a result of this, you need to be up to date with the current trend in the industry. Just like every other business, domain trading has its own share of risks. Before going into the business, it very important for you to know the risks so that you will be better prepared. Some of the risks involved in domain trading have to do with subjectivity, liquidity, as well as legality. You can value stocks through discounted value of impending cash flows and you can value bonds through interest rates and coupon payments. However, that is not possible in domain trading. Domain valuation tools can give the present and future value of a domain name but you can sell lower or higher than the appraised value. You can buy and sell bonds and stocks with ease but selling domain names requires a lot of patience. It is not something you just put into the market and expect a sale within a certain period. It doesn't work that way. You need to be able to understand the workings of the market - the right time to sell, the right people to sell to, the right platform to use, the right method to use and so on. There are lots of trademark issues associated with domain trading. If you buy a name that is trademarked, the trademark owner can sue and you may lose the name if it is established that you have broken the trademark law. Losing a domain name you have spent a lot of money to acquire this way can really affect your finances and profit. Consequently, you should ensure that you avoid buying names protected by trademark. 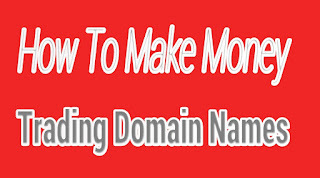 You can make money online by trading domain names profitably. You need to understand the methods of making profit and tap from the experience of seasoned traders. Domain trading is a business that brings a high return on investment, but you need to play the game accordingly.